• Meet Wildnest Team members at the meeting point. Proceed for the farm. • After reaching, have refreshments and snacks. 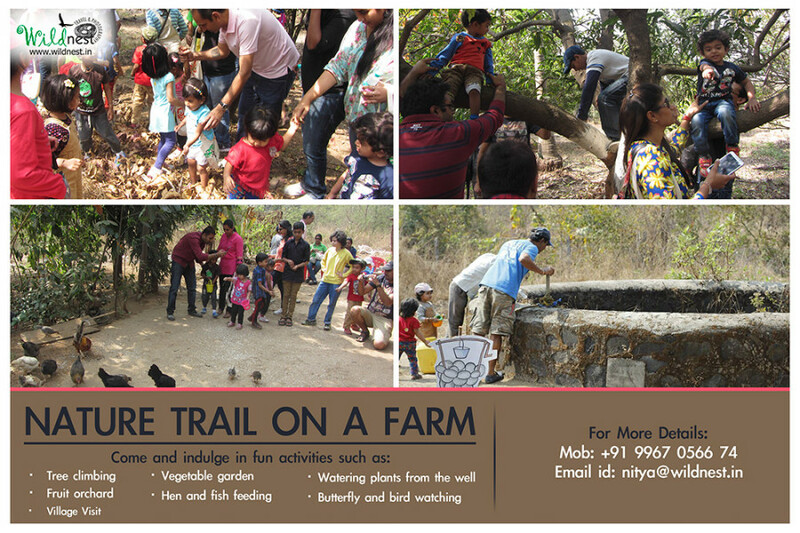 • Indulge in fun activities for 2.5 – 3 hours. •After an exciting morning amidst nature, depart for home. Meeting Point: McDonalds Kalamboli, just before Mumbai Pune expressway starts.